The sunlight contains large amounts of invisible light known as ultraviolet light. This light has higher energy than light that we can see, and can cause considerable damage over time to the skin and the eye. All sunglasses sold in the United States must cut down the ultraviolet light by at least 95% and are highly recommended whenever you are out in the sun. So you need sunglasses even on a cloudy day. Foods that are good for your body are also good for your eyes, which are, of course, a part of your body! Fatty foods can clog the arteries that bring nutrients to your eyes. Leafy green vegetables are particularly good. 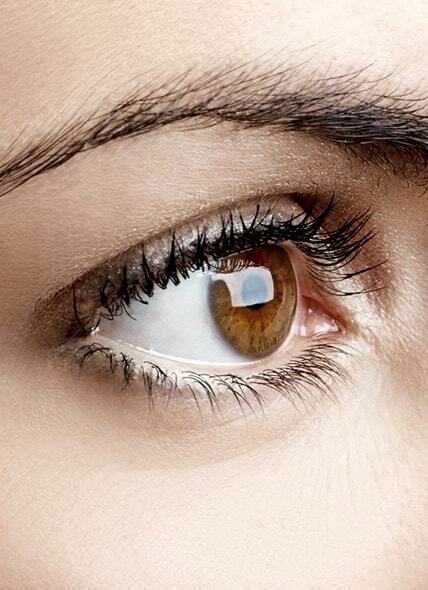 Carrots have lots of vitamin A, which is essential for good eye health. For those who have a strong family history of macular degeneration, consider one of the vitamin supplements available in the pharmacy. 3. Do not smoke, period. Cigarette and cigar smoke contain many chemicals that are toxic to the delicate tissue inside the eyes. These chemicals are inhaled by smoking but also by those around, which is called second-hand smoke. These chemicals contribute to cataract formation and to macular degeneration, which are the leading causes of loss of vision. Carrying extra pounds is one of the main contributors to diabetes, which is a leading cause of vision loss. 5. If you have diabetes, control your blood sugar. Tight control of blood sugar levels lessens the damage that diabetes (high blood sugar) can cause. So if you have diabetes, maintain very tight control of your blood glucose levels. 6. Do not read in dim light. Reading in dim light strains your eyes and causes eye fatigue. If you are less than 25 years old, if may contribute to worsening of nearsightedness. Always read in a well-lit situation. 7. Do not rub your eyes. Mama probably didn’t tell you this, but rubbing your eyeballs is not good. Not only can it cause a retinal detachment, but it can contribute to a weakening of the cornea, a condition known as keratoconus or ectasia. If your eyes feel itchy, try over-the-counter allergy drops such as Alaway. If that does not help, see your eye doctor. 8. Get regular eye exams. There are several eye conditions, such as glaucoma, that can steal away vision without you knowing it. These can usually be easily identified and treated by a well-qualified eye doctor. Early treatment is often the key to success. As we age, these conditions become more common, so a yearly eye checkup over the age of fifty is a good idea. 9. If you can’t see well, use glasses, contacts, or Lasik. Many people mistakenly believe that using glasses weakens the eyes. This is not true. Once you start to experience good vision because of glasses or contacts, you probably won’t want to do without them, because better vision is one of the great pleasures in life. And that is where Lasik can come in! Visine is highly addictive. It gets the red out by causing the enlarged blood vessels in your eye to constrict. The trouble is, once the effect of the Visine (or similar products) wears off, the eyes often become redder than if you had never used it in the first place. It is sort of like nicotine: you only develop a nicotine yearning if you have been using nicotine in the first place. Instead, see your eye doctor to determine the cause of your redness and get appropriate treatment.